Bigger buttons and brighter colors! 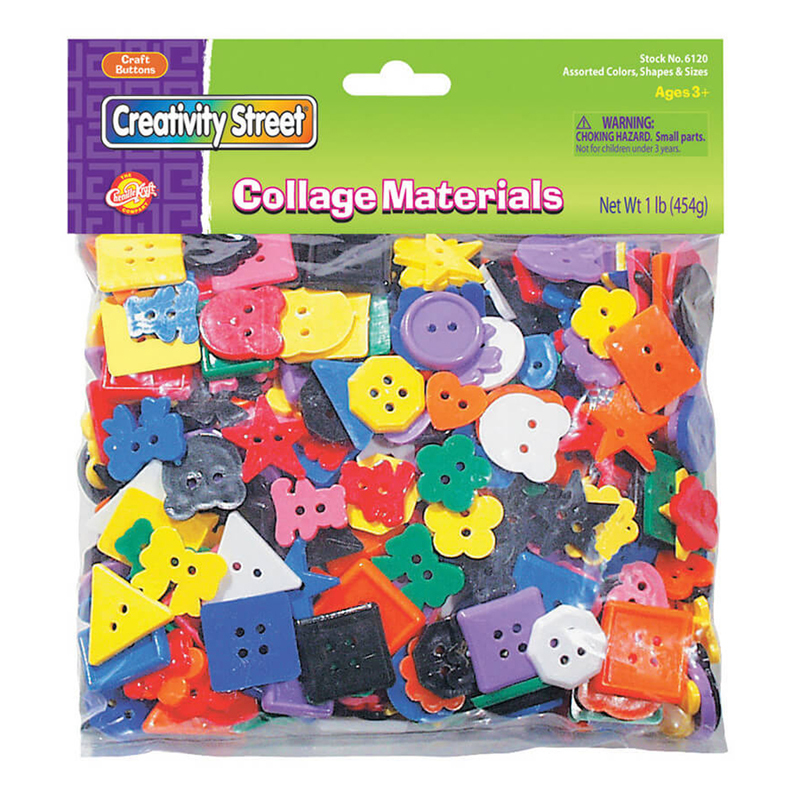 Each 1 pound pack features a variety of sizes, shapes and colors. 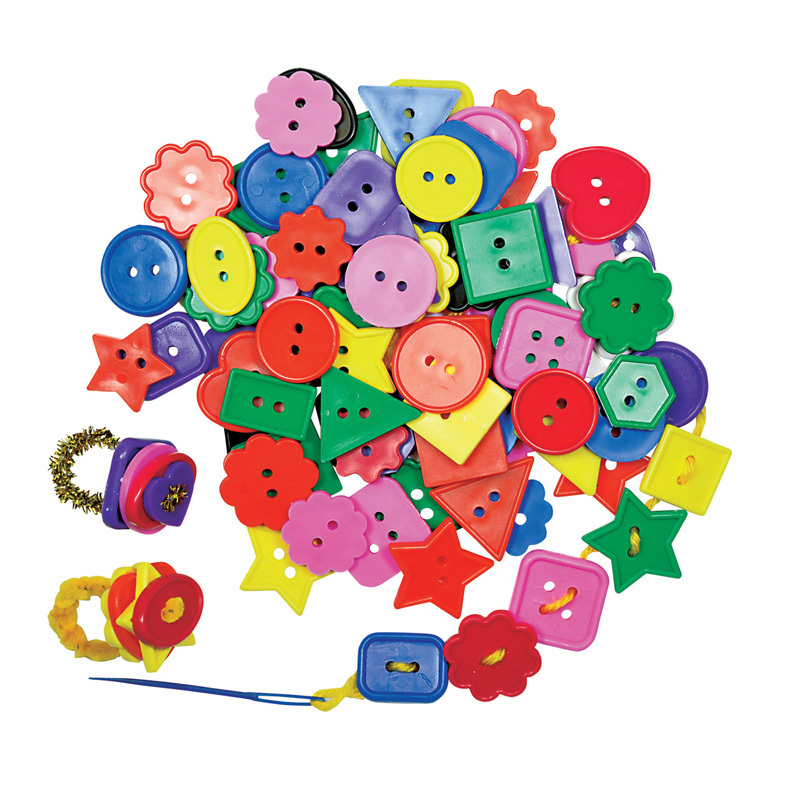 Buttons range in size, but are approximately 0.75" to 1". Perfect to use with all types of doll making activities or craft projects. Bundle includes 6 packs, for a total of 6 pounds of buttons. 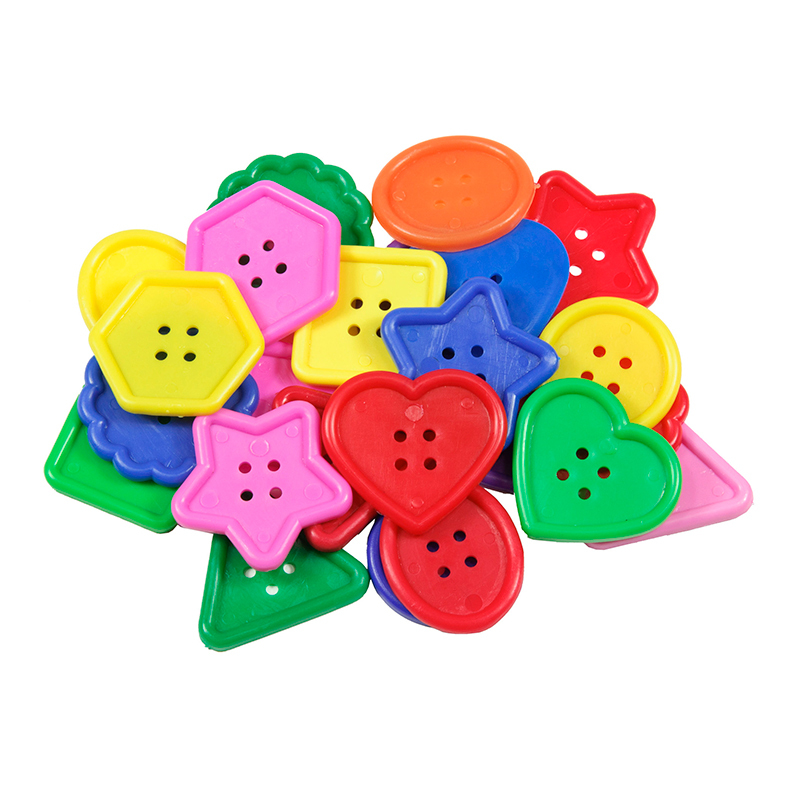 The (6 Pk) Plastic Buttons 1lb Bag can be found in our Buttons product category within the Arts & Crafts.